It was Matt Swanger’s passion for his community and the people in it that first led him to plaintiff personal injury work. 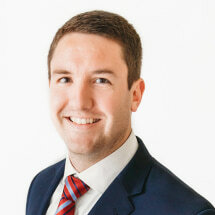 Knowing the reputation of client dedication at Byrd Davis Alden & Henrichson, joining the team as the newest associate was an easy decision for Matt to make. Here, he plans to use his fresh perspective and keen insight to relentlessly pursue justice for the clients he has the opportunity to represent. Matt is originally from San Diego, California but chose to pursue his undergraduate study at the University of Oregon, where he received a Bachelor of Science in Political Science and Government. Upon receiving his degree, Matt decided to move to the great state of Texas and attend Baylor School of Law. While at Baylor, Matt developed a passion for trial work and litigation. He consistently competed in mock trial and moot court competitions, advancing to finals and finishing first on multiple occasions. After graduating from Baylor with a concentration in civil litigation, Matt began his work at this firm, focusing on a wide array of cases. Prior to joining Byrd Davis Alden & Henrichson, Matt interned for multiple Judges around the state of Texas, allowing him to sharpen his trial skills. Outside of the office, Matt enjoys cheering on his Oregon Ducks and exploring his new home of Austin.